JET was envisioned and developed by a team of educators lead by Pam Herrup and Karen O'Connor at UMass Dartmouth, along with educators at Bristol Community College and the school districts of Fall River and New Bedford to help resolve teacher shortages and low teacher retention rates in high need schools by tapping the underutilized resource of paraprofessionals. JET was awarded a multi-year federal education grant in 2007, and Pam Herrup became the JET Program Director. During the federal grant period from 2007 to 2014, over 110 paraprofessionals were recruited at various stages of their college degree completion, ranging from no college to having associate degrees. 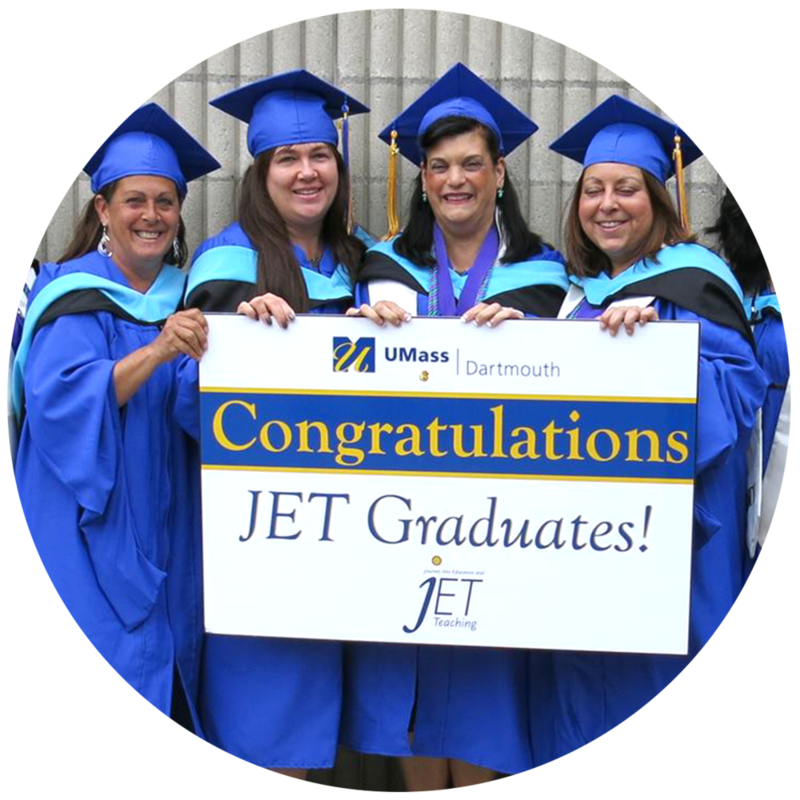 As the JET program evolved it became transformative for the paraprofessionals, both personally and professionally. They gained confidence in their own academic ability, most graduating with academic honors, and they began to see themselves as education professionals. This had a positive impact on the ability of the paraprofessionals to better serve students in the classroom while they were studying to become teachers. The paraprofessionals became role models for their students, their families and the community as they completed their college degrees and teaching credentials. By the end of the federal grant in 2014, JET participants had achieved outstanding results.